Where am I? > Home > Travel Insurance Quotes > Family Travel Insurance > Family travel insurance still on the agenda? 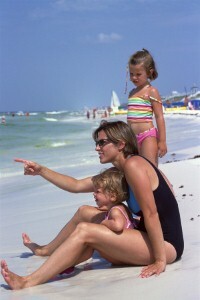 Family travel insurance still on the agenda? During a time when many households are tightening their belts, family travel insurance could remain a priority. Mark Tanzer, chief executive of the travel industry's trade body, ABTA, recently noted that holidays have remained a priority for families during the economic downturn. But the family travel insurance could be particularly important in light of the reduced number of low-cost getaways on offer. Kate Kenward, executive director at the Association of Independent Tour Operators, suggests that rising holiday costs could be an indication that travel agents are attempting to cushion themselves against the recent turbulence by raising their profits in the months to come. "They are savvier about currency fluctuations - especially in Europe - and will also ensure they have adequate margins to cover these," she adds. For the consumer, this could leave those without family holiday insurance out of pocket to a greater degree than has been the case in recent years - making a fully featured policy potentially more important than has historically been so. Published by World First Travel Insurance - providers of worldwide travel insurance for all types of holiday, cheap annual travel insurance and great sports travel insurance. Get in touch for competitive travel insurance quotes today.